UPDATE SUNDAY 1PM: Fires will continue to burn on Biondello Hill near Dixon Drive, with firefighters assuring there are no threats to property. Smoke will continue to blanket surrounding areas, residents affected by smoke should close doors and windows and keep medication nearby. Call 000 in an emergency. SATURDAY: A fire that broke out in Tondoon Botanic Gardens engulfed Telina in smoke mid-afternoon on Saturday, with firefighters remaining on scene. The fire began on top of Biondello Hill at 2pm, with backburning procedures beginning at 3:45pm. 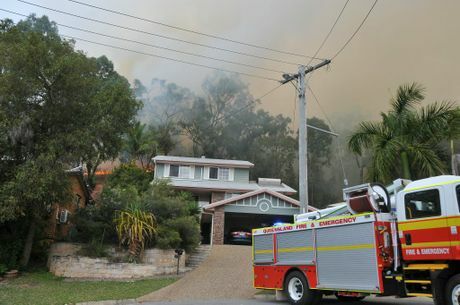 Fire and Emergency Services maintained no homes were under threat, but warned residents to exercise caution regardless. 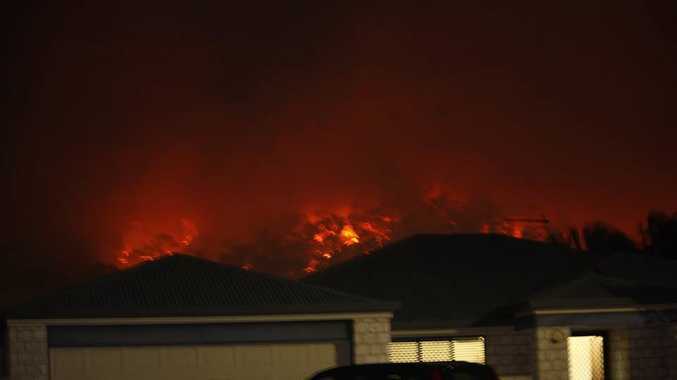 The peak referred to as Biondello Hill, on the land of Tondoon Botanic Gardens, is perched between the intersections of Glenlyon Rd and Dixon Dr.
Three fire and rescue crews were on scene monitoring the fire. Queensland Fire and Emergency released the following statement. "Firefighters are conducting extensive back burning operations to contain the fire, which broke out around 2pm today," it read. "No homes are currently under threat; however residents in the nearby streets should monitor conditions: Southern Cross Close, Selwyn Close, Fawley Close, Birmingham Close, Earls Close and Saint Clements Close. "Residents affected by smoke should close doors and windows and if they have a respiratory illness, keep medication nearby. Motorists are urged to drive to conditions and with caution."